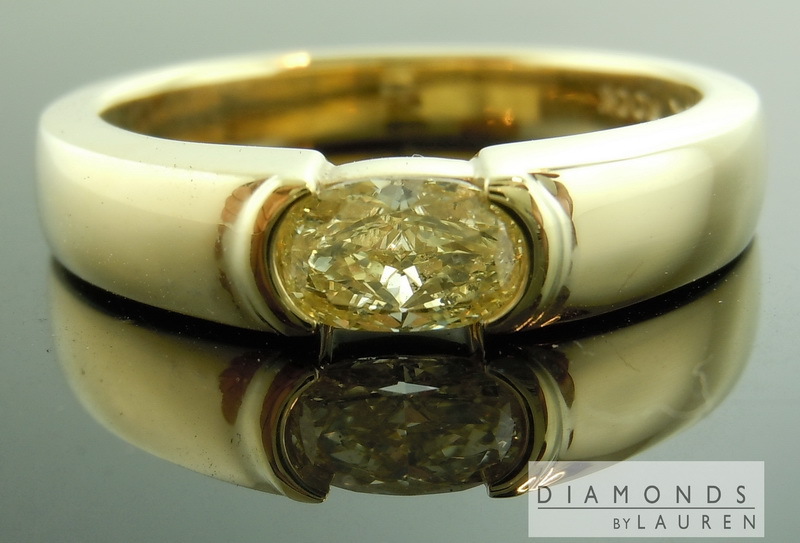 The ring is perfectly executed, from the flawless bezel at each end of the oval - to the immaculate finish on the 18kt yellow gold. 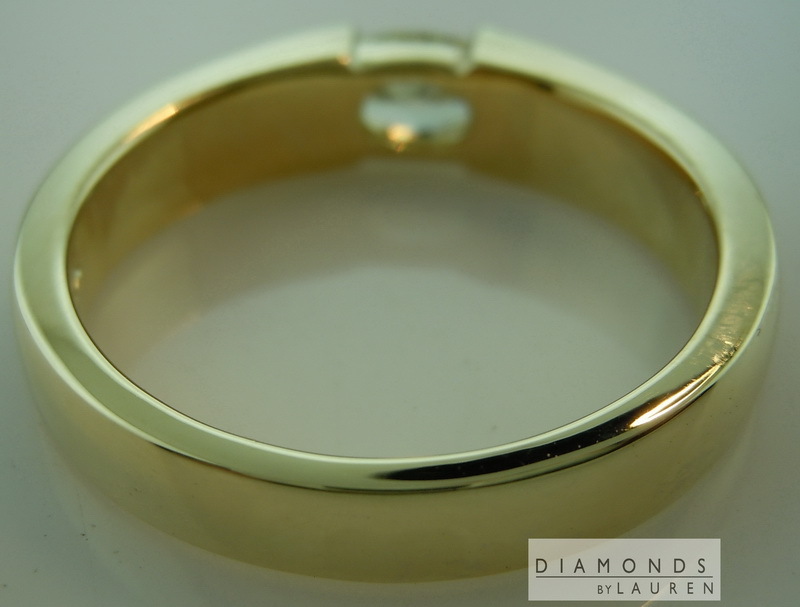 The ring itself is solid 18kt gold. 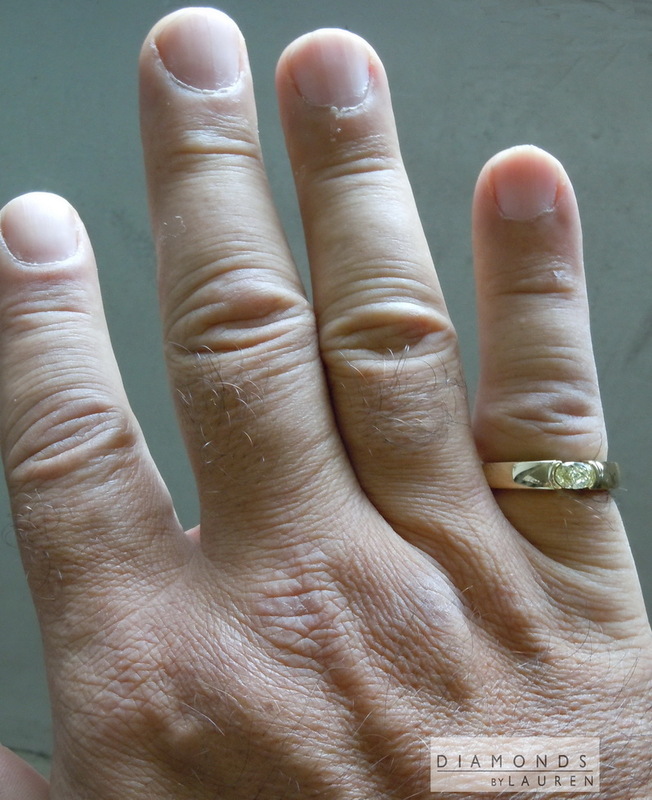 There is no effort to make the ring lighter by hollowing it out. 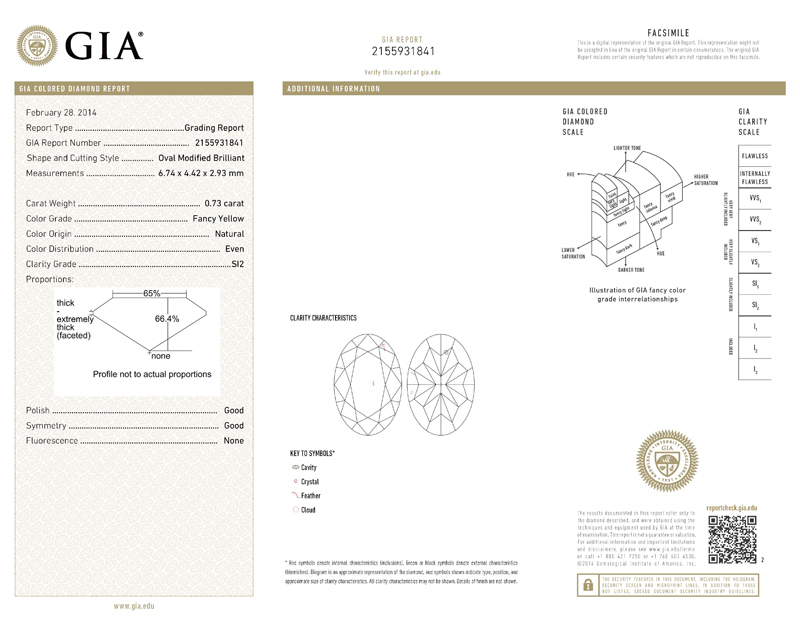 We have been making high quality men's diamond rings for many years. It's not all that easy to find. 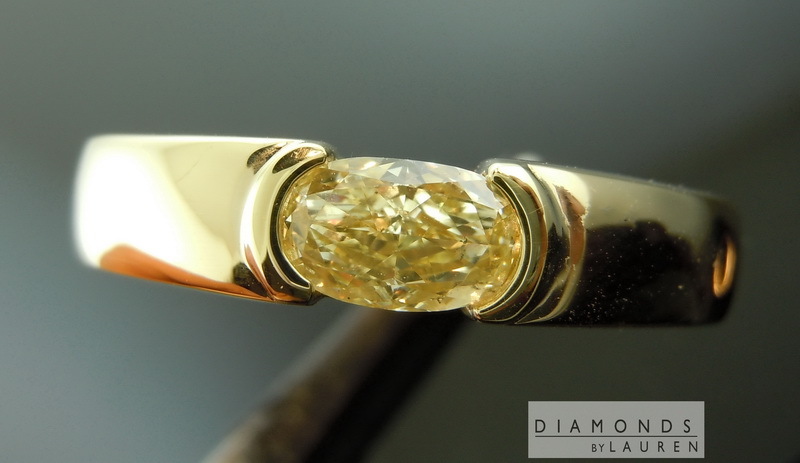 For this one I chose a Canary Yellow Oval diamond. 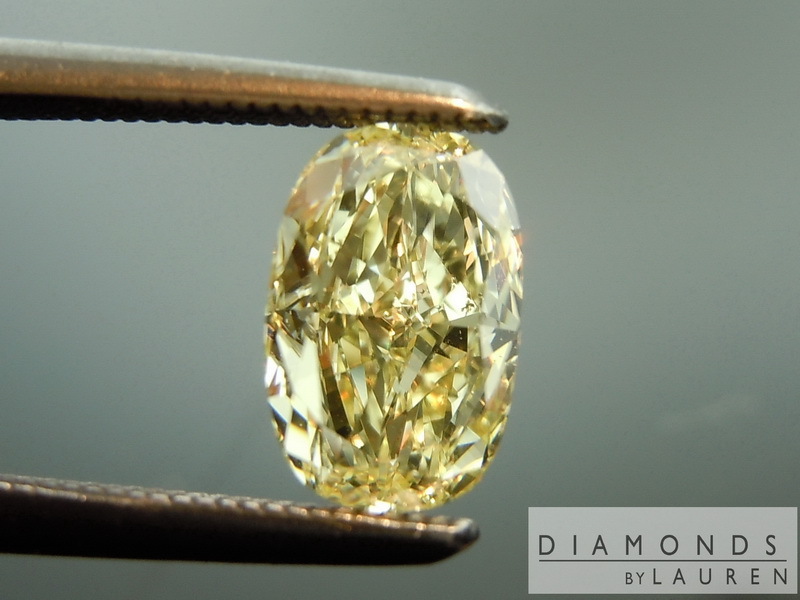 We purchase large quantities of diamonds. Given a big parcel to choose from, cut is the first aspect I look at to cull our choices. I love all colors of diamonds, but they must be nicely cut. 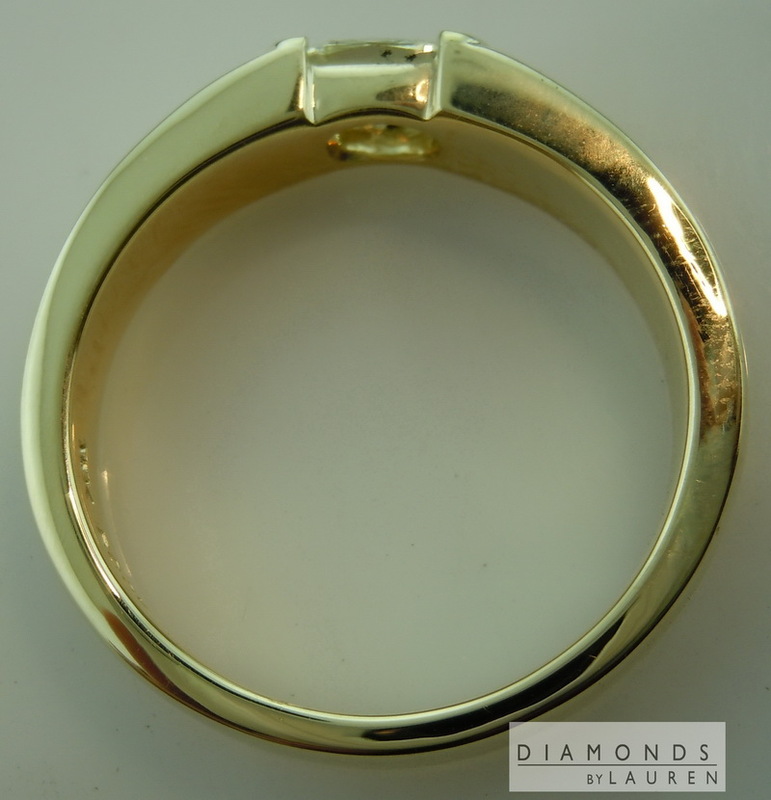 In the case of ovals, there's a lot of variety in shape, that can be considered well cut. This stone, for example, it fairly tall - about 1.5:1 ratio. I loved the stone right off. The color is nice - pure lemon yellow. 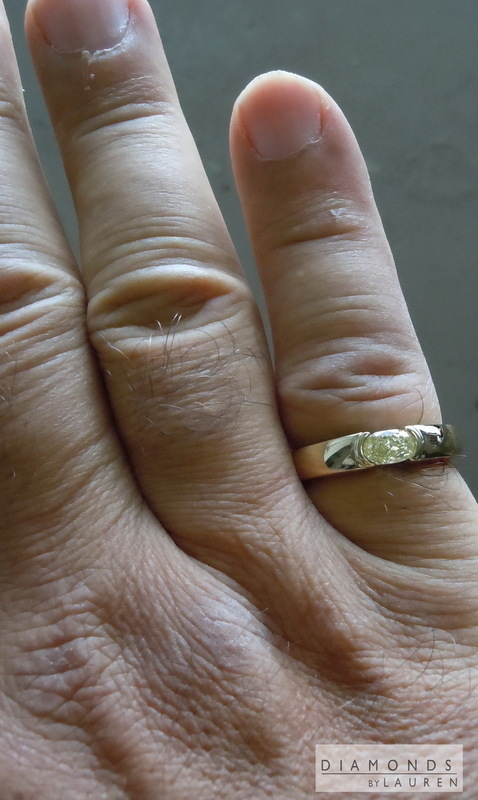 It's a well priced stone, due to the SI2 clarity, but it's eye clean. However, tall stones require a certain type of setting- and I thought of this one!